Los Angeles has recently been the site of two notable cases of guerrilla urbanism. In one, street vendors formed advocacy groups and a coalition with allies that lobbied city council and overturned a citywide ban on their activity. In another, several Boyle Heights community organizations deployed confrontational tactics to close art events, galleries, and coffee shops to counter gentrification and displacement. 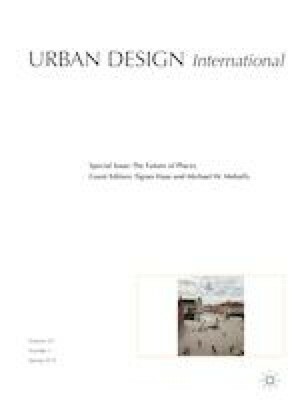 This article compares these two cases to find the key role that urban aesthetics and design play in rewriting the dominant spatial order under contemporary conditions of immigrant urbanism. We propose that property outlaw theory from property rights law literature helps us understand the potentially productive role of guerrilla urbanism and its implications for urban design practice. Additionally, spatial and temporal parochialism, and defining the boundaries of what constitutes “the community” are important factors in the efficacy of guerrilla urbanism practice. These cases’ insights can help equip designers to more mindfully practice urban design, knowing the important role that aesthetics play in a larger property rights regime reconstruction project. The authors would like to thank Wendy Chung and Luis Gutierrez for research assistance and key informant interviews, as well as the participants of the 2015 symposium, Contesting the Streets 2, who helped develop some of these concepts, particularly Saskia Sassen and Margaret Crawford. See http://slab.today/2015/09/contesting-the-streets-2/. Belanger, C., and M. Cohen. 2017. Cracks in the Foundation. South Side Weekly. Retrieved from https://southsideweekly.com/cracks-in-theaster-gates-rebuild-foundation/. Chaplin, J. 2016. Art Scene Heats Up in Downtown Los Angeles. New York Times, February 12. Retrieved from https://www.nytimes.com/2016/02/14/style/art-scene-heats-up-in-downtown-los-angeles.html. Defend Boyle Heights. 2017. People Are More Important Than Property. Defend Boyle Heights Website. Retrieved from http://defendboyleheights.blogspot.com/2017/08/people-are-more-important-than-property.html. Gadwa, A. 2013a. Artists and Gentrification: Sticky Myths, Slippery Realities. Retrieved from http://createquity.com/2013/04/artists-and-gentrification-sticky-myths-slippery-realities/. Huante, A., and Miranda, K. 2019. What's At Stake in Contemporary Anti-Gentrification Movements. Society and Space, February 28. Retreived from http://societyandspace.org/2019/02/06/whats-at-stake-in-contemporary-anti-gentrification/. Huizar, J. 2017. Councilmember Huizar on Tactics in Boyle Heights Gentrification Debate. Retrieved from http://www.josehuizar.com/councilmember_huizar_on_tactics_in_boyle_heights_gentrification_debate. Lamarca, M. G. 2011. Implementing the Right to the City in Brazil. Retrieved from https://www.thepolisblog.org/2011/10/implementing-right-to-city-in-brazil.html. Lee, F. 2017. Excommunicate Me from the Church of Social Justice. Retrieved from https://www.autostraddle.com/kin-aesthetics-excommunicate-me-from-the-church-of-social-justice-386640/. Mejia, B., and Saldivar, S. 2017. An arts nonprofit closes shop after ‘constant attacks’ by anti-gentrification activists. Los Angeles Times, February 22. Retrieved from http://www.latimes.com/local/lanow/la-me-ln-boyle-heights-20170222-story.html. Ovarian Psycos. 2018. O.V.A.S. Overthrowing Vendidxs, Authority & the State. Ovarian Psycos website. Retrieved from https://ovarianpsycos.com/. Red Guards-Los Angeles. 2015. Revolt! A publication of the Red-Guard-Los Angeles. Retrieved from https://redguardsla.files.wordpress.com/2015/05/revolt-issue-2-draft.pdf. Ryzik, M. 2015. New Art Galleries Enjoy a Los Angeles Advantage: Space. New York Times, September 16. Retrieved from https://www.nytimes.com/2015/09/17/arts/design/new-art-galleries-enjoy-a-los-angeles-advantage-space.html. Taylor-Hochberg, A. 2017. What L.A. Can Learn From Its Failed Experiment in Legalized Street Vending. Citylab, June 26. Retrieved from https://www.citylab.com/life/2017/06/what-la-can-learn-from-its-failed-experiment-in-legalized-street-vending/530829/. USC Price Center for Social Innovation. 2018. Neighborhood Data for Social Change. Accessed online at http://myneighborhooddata.org.